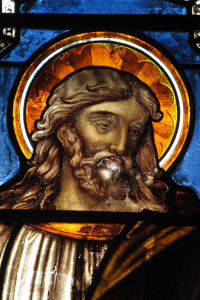 One of the most common problems found in antique stained glass windows is out-of-plane bowing. Window bowing is a progressive failure and can take years to become a serious problem. However, other factors can accelerate the condition. Oxidation of the lead: Oxidation is the white chalky substance that appears on the exterior of the lead. Extreme oxidation can weaken the lead and thus the window. Brittle lead: Window leads get brittle with age and become prone to breakage at the solder joints. Broken joints weaken the overall window. Breakage of wire ties: Twisted copper wires bond the stained glass window to bracing rods extending across the window. This is designed to support the weight of the window and keep it flat. These wire ties can break over time and lessen their support to the window. Building settlement: Settlement can induce pressure on the perimeter on the window. This pressure is relieved as the panel bows. Fluctuations in temperature: Stained glass is exposed to a range of daily solar temperature change. As the window heats it expands. As the window cools it shrinks. 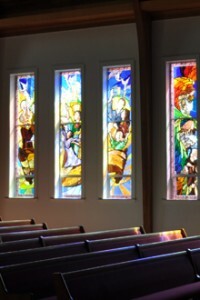 This daily heating/cooling cycle creates stresses in the stained glass which are relieved by out-of-plane bowing. Bowing ultimately allows stained glass to work free of its confining lead, in some cases actually dropping glass. Bowing can result in broken glass. At the very least, windows may become less weather resistant. Inward bowing is partly confined by steel brace bars; with bowing generally occurring between the brace bars. Outward bowing can be more pronounced, in some cases breaking the wire ties designed to secure the window to the brace bars. Window bowing cannot typically be repaired in place. The window will require removal to flatten. If the window is generally in good condition (other than the bowing) it is possible that the panel can be flattened and reinstalled. However, more often than not, the window is old enough that is has many of the degrading symptoms described above. 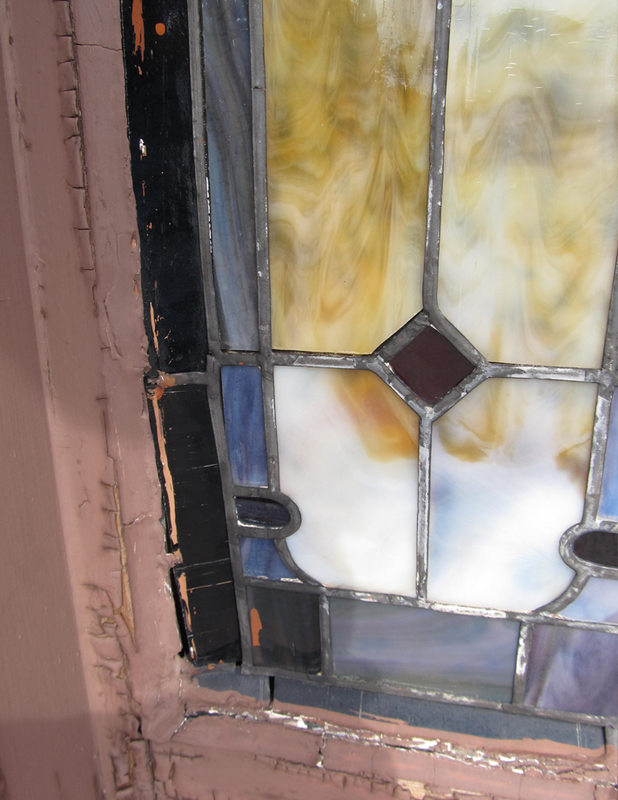 If this is the case, it is possible that the window will require re-lead restoration. Re-lead restoration is the process of dismantling, cleaning, and reassembling the window, replacing the old lead with new restoration grade lead. Structurally speaking, the result is a “like-new” stained glass window. The recommendation for re-lead comes after careful consideration of the project as a whole.